Patriot Memory, a global pioneer in high-performance memory, NAND flash storage and enthusiast computer products today announces the launch of the Supersonic Rage XT USB 3.0 drive. Built with an ultra-portable form factor and the enhanced speed of USB 3.0, the Patriot Memory Supersonic Rage XT is the perfect solution for those looking for a compact design that doesn’t compromise performance. The Supersonic Rage XT comes with a custom slide to connect design that provides best in class protection from wear and tear. Available in 32GB and 64GB capacities and plug and play compatibility, the Patriot Memory Supersonic Rage XT offers excellent storage solutions that are extremely easy to use across multiple platforms. 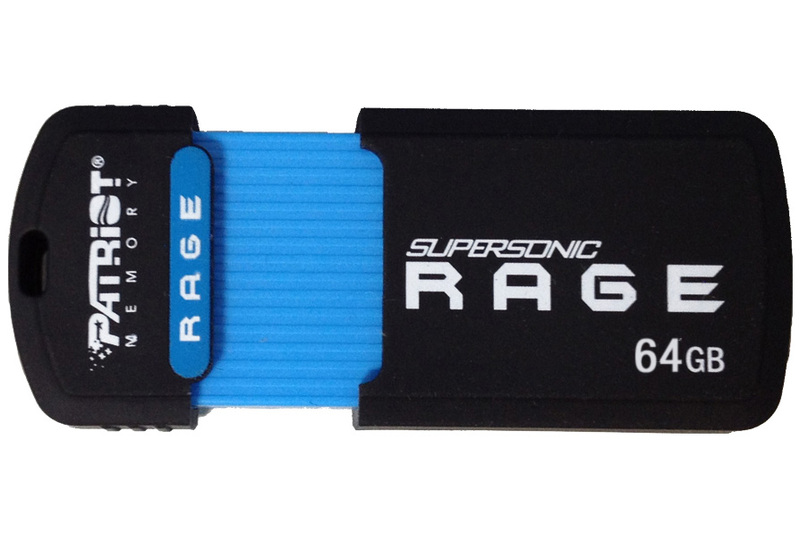 Backed by Patriot Memory’s award winning customer service, the Supersonic RAGE XT will come with a 5-year warranty.